The winter holidays season is upon us and soon the new year! And, there’s no time like the present to start planning for the upcoming holidays and new year. To reduce distress and increase the opportunities to enjoy and celebrate time with family, friends and work colleagues during this season, good planning (and execution) is vital. What do you do to prepare for the holidays and new year? 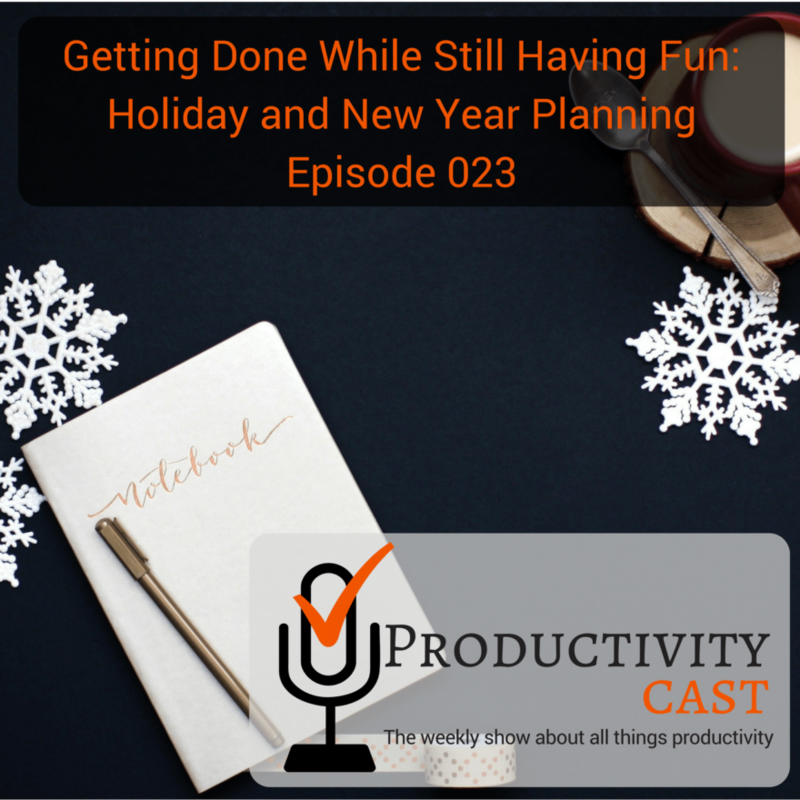 In this cast, the ProductivityCast team converses about strategies to squeeze more out of your time and resources during the holidays season. You’ll learn about Art Gelwick’s phrase for the celebration season, “getting done while still having fun.” What are your holidays and new year planning routines? Share them in the comments, comment on this cast on our ProductivityCast Facebook Page, or contact us to let us know! And, thanks for listening! Holiday Budget Planner (Excel template) <–you can import into Google Sheets also!